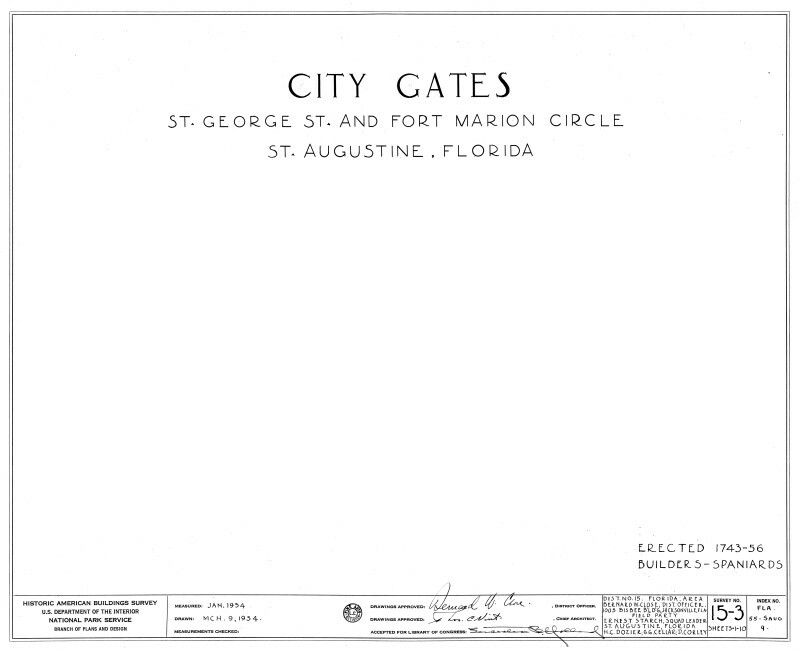 This is the cover sheet for the set of architectural drawings of the Old City Gate at St. Augustine. It is a part of the Historic American Bulidings Survey. WARNING: You are about to download a 1.0 MB TIFF!